Available for users subscribing to the Clause Level Compliance Obligations module only, this feature allows users to isolate section classes and topics of interest. 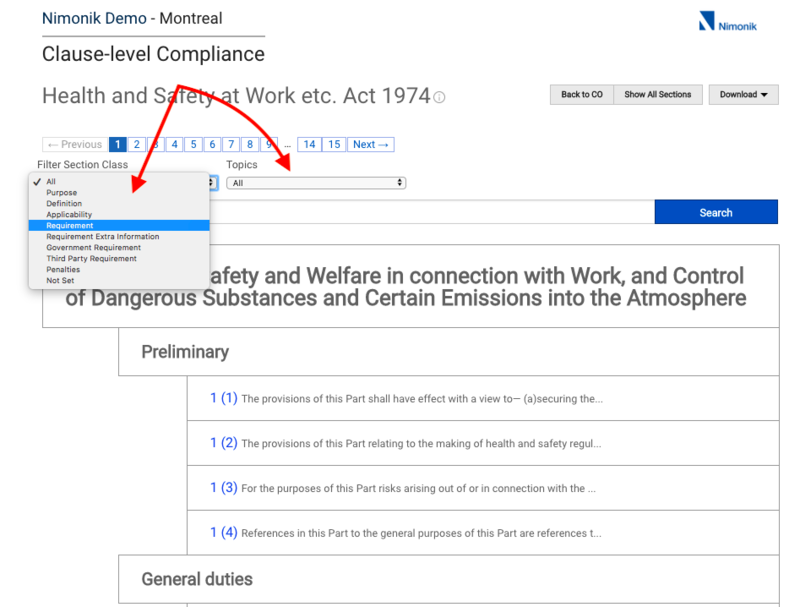 Go to the Clause Level view of the document that you would like to filter. Use the Two drop down menus at the top left corner of the page to select your filtering parameters. 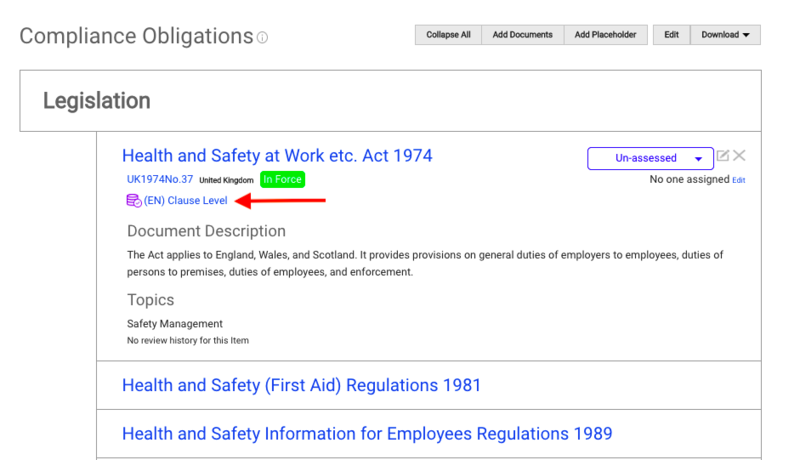 Note: This feature is still being rolled out, so the section classes and topics have not been assigned to all of the documents available at clause level yet. 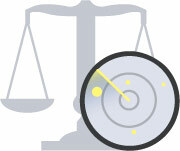 Not subscribed to Clause-Level Compliance Obligations? Get in touch here to learn how you can benefit. (ENG) New Email Options for Account Administrators!